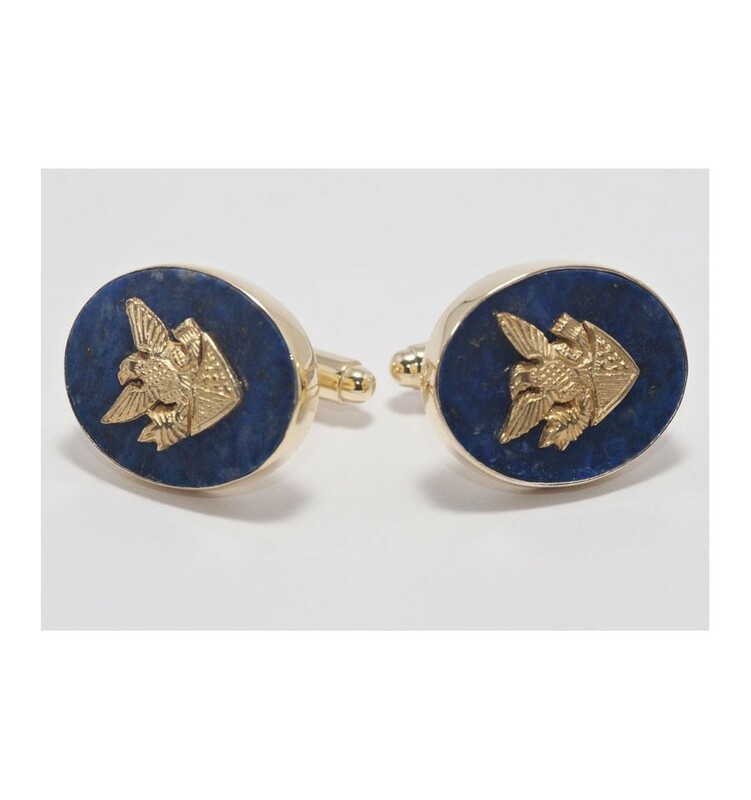 The George Washington patriot collection 'seal of office' Cufflinks in gold plated solid Sterling Silver Mounted to genuine lapis lazuli. An amazing effect. 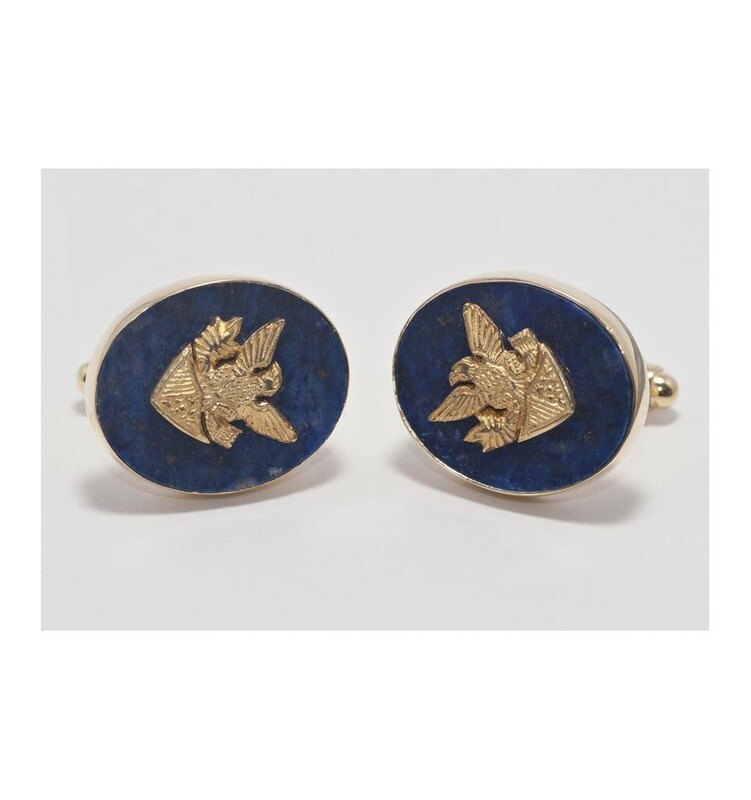 These superb Regnas swivel cufflinks consist of well crafted ovals of Lapis Lazuli, a beautiful color. 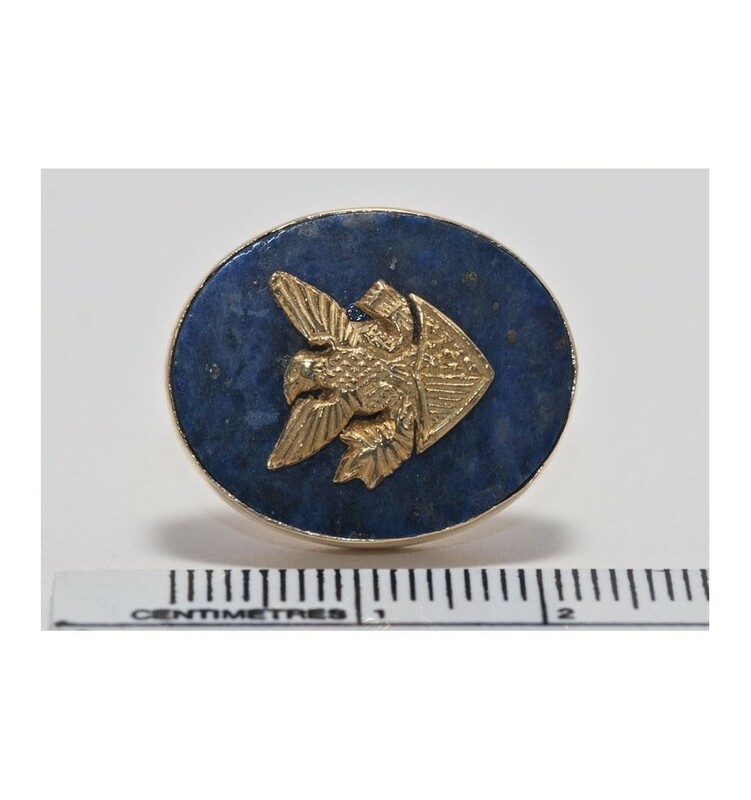 The American Eagle motif is made in gold plated solid sterling silver. The ovals measures 22X18mm. The ancient symbol hand crafted, a fabulous gift or for yourself. 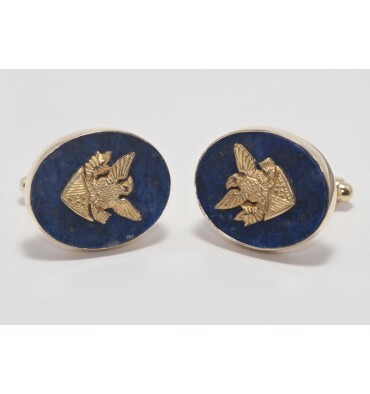 These memorable cufflinks makes the perfect gift for any patriot who likes to dress well, reflecting taste and care by the giver and the wearer. We design, manufacture, pack, market and distribute all our own jewelry products, That's how we can offer such high quality at a reasonable price. 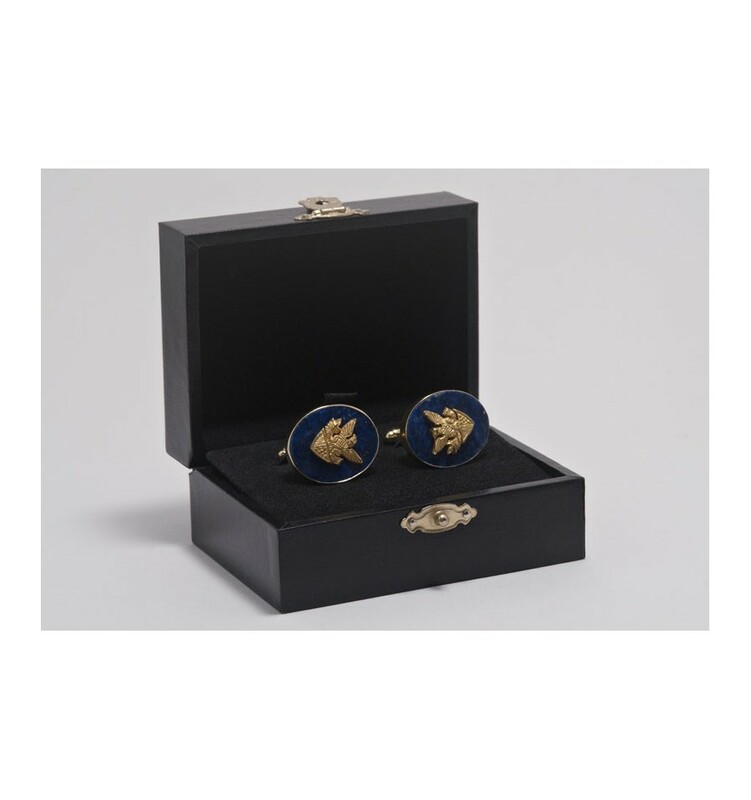 Free Worldwide, registered delivery includes a smart cuff links case, in transit insurance and a 30 day replace or refund warranty.